When a loved one dies, an executor is often named in their will. The executor’s role is to oversee the distribution of their estate. In cases where money was owed to another person or organisation, the sum should be taken from their estate. This includes mortgages, rent and credit card bills. The estate should only be divided up among the beneficiaries after these debts have been paid. Usually, the closest family members are the main beneficiaries, but this will be detailed in the will. An executor or administrator will handle the estate after death. They will be responsible for the paying of taxes and the distribution of the estate among the entitled beneficiaries. HM Revenue and Customs (HMRC) – Call on 0300 200 3300, or +44 135 535 9022 from outside the UK. Department for Work and Pensions (DWP) – Call the DWP bereavement service on 0345 606 0265, textphone on 0345 606 0285, or Welsh language on 0345 606 0275. Passport Office – Call on 0300 222 0000, contact them online, or write to: HM Passport Office, PO Box 767, Southport, PR8 9PW. Driver and Vehicle Licensing Agency (DVLA) – Write a letter including information on your loved one’s date of death, name, address and date of birth, and your relationship to them. Send it to: DVLA, Swansea, SA99 1AB. Your loved one's local council – Find your local council for contact information. Public sector or armed forces pension schemes – Look for information in your loved one’s paperwork to contact their specific pension provider. Alternatively, the Tell Us Once service may be able to inform all of these authorities for you. This service is only available in certain locations across the UK. To find out if this service is available to you, go to the Tell Us Once website. If your loved one lived in Northern Ireland and was receiving benefits from the Department for Work and Pensions (DWP) they should be informed of your loss through the DWP Bereavement Service or by telephone on 0800 0224 250. Your loved one’s creditors all need to be informed of their death. The debt owed to the creditors will be recovered directly from the estate. If, however, the value of the estate cannot cover the entirety of the debt, the family are not obliged to pay off the debt from their personal savings. If this does happen, you should check whether your loved one had taken out any insurance to cover any debts outstanding at the time of their death. If the debt was from a joint account, the debt is required to be repaid by the surviving account holder. Similarly, anyone who was living with your loved one is expected to continue to pay any outstanding household bills and council tax. If one of the account holders of a joint bank or building society account passes away, all the remaining money in the account is inherited automatically by the surviving partner. The bank or building society where the account is held may ask to see a copy of the death certificate before any funds from the account can be transferred out. If both parties were beneficial joint tenants at the time of death, the surviving party inherits the other’s share in the property automatically. In this case, probate and letters of administration will only be necessary if the parties jointly owned other assets. The surviving party from a tenants in common property agreement does not automatically inherit the other party’s share in the property. Under this agreement, probate or letters of administration will be needed so that the executor or administrator can divide the share in the property between those entitled as stipulated by the will. 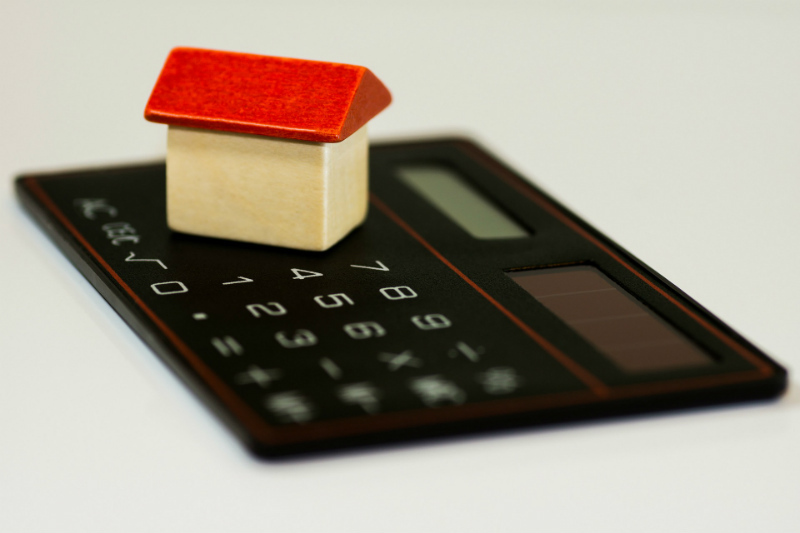 If an inherited property comes with an outstanding mortgage, the mortgage provider will ask the heir to take over the mortgage or to pay the total amount of the mortgage immediately. In the event that life insurance was taken out by your loved one, any endowment or a mortgage protection policy may be able to pay for the outstanding mortgage balance. If the heir of the property wants to sell, the payment of the mortgage will be required after the sale of the property. When the entirety of the estate consists of a low sum in a bank or building society account, you may be able to access those funds without probate or letters of administration. The bank or building society that the account is with may have a different interpretation of a small amount than others, so you should contact them to find out what they consider a small amount to be. Some banks or building societies even allow you to remove large amounts of money without having to apply for probate or letters of administration. In most cases, however, probate or letters of administration are needed before any money can be removed or transferred from an account. The exception to this is when the funds are needed to pay for funeral costs, inheritance tax, probate fees or other expenses associated with the funeral and estate administration. To learn more about probate, letters of administration, and the roles of the executor and administrator, visit our managing an estate page.